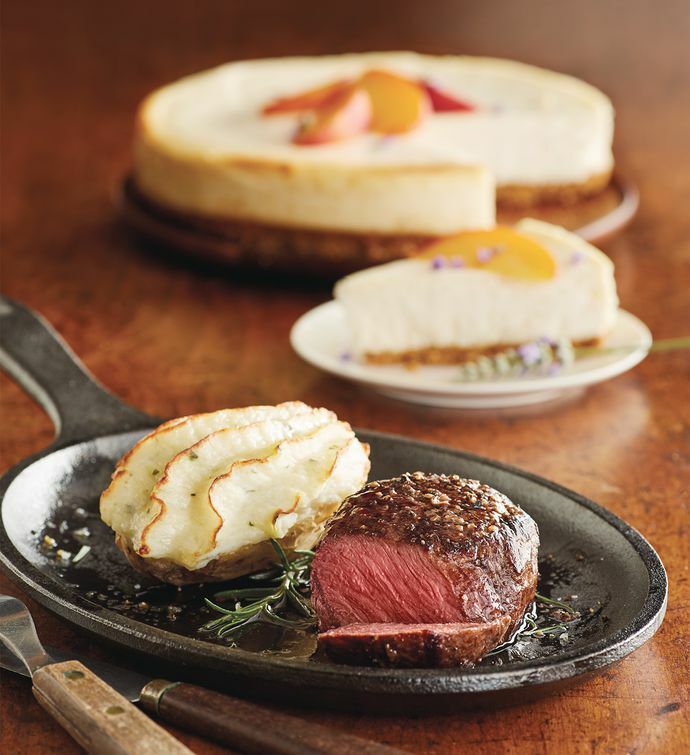 Impress your guests with an effortless gourmet dinner. This collection includes two mouthwatering USDA Prime Filets of Top Sirloin aged to perfection, four twice-baked potato halves, and a 2 lb New York-style cheesecake. To top it off, we've included Peppercorn Steak Rub to enhance the flavor of your steaks.